Just stopping by to say that I can’t get enough of my little helper. Over the last few weeks, we’ve been getting the yard ready for spring. 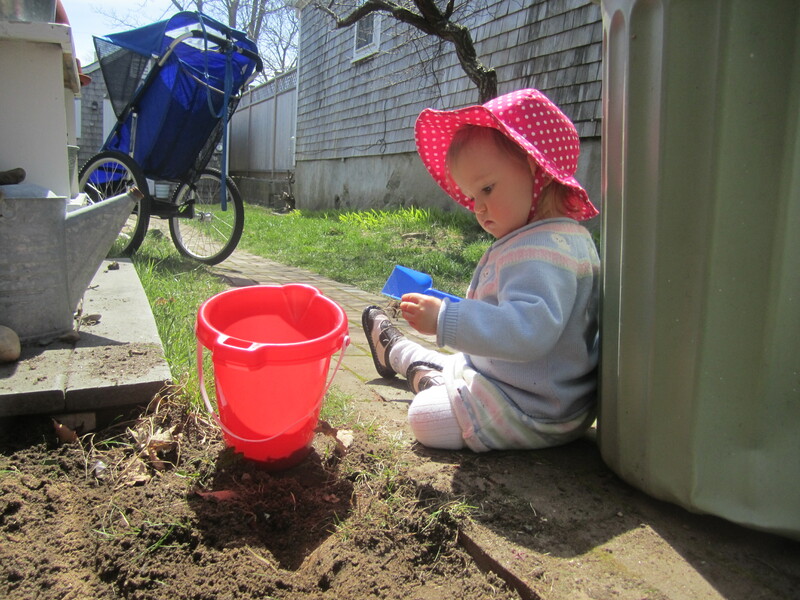 Even though we don’t have the space for a real garden, I’ve got big plans for one tiny strip of dirt that gets sunlight in our postage-stamp yard, and Nora is serious about helping me. I have flowers and herbs planned, and maybe a trellised tomato plant or two. Visions of a tiny but exploding patch have been swirling through my head since the Seed Saver’s catalog appeared in my mailbox in January. I can’t do much, but I’m excited about just doing more than last year; and it all starts with getting rid of grass. Normally, this would be an annoying chore, but ripping up grass is never more fun than when accompanied by a little person and her bucket and shovel. 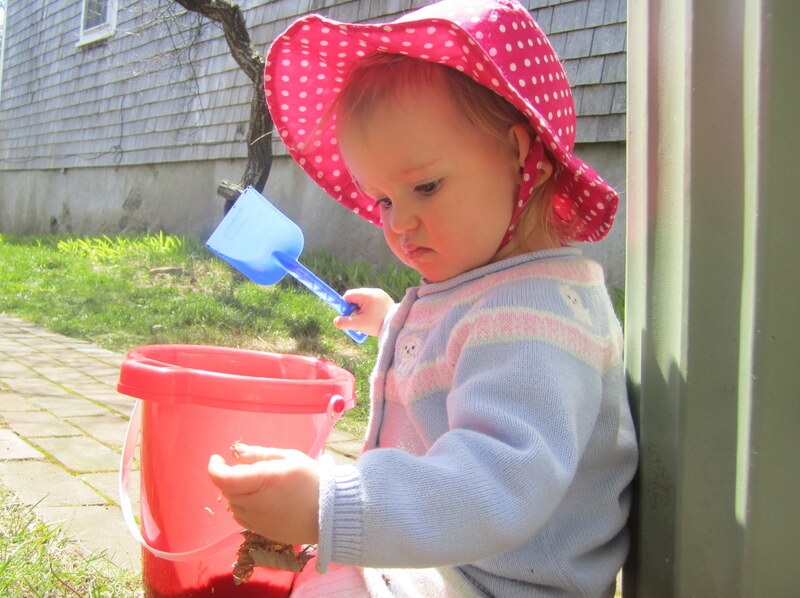 She was so serious about inspecting each leaf, pebble, and clod of dirt before adding it to the bucket, I couldn’t help but laugh. I can’t wait until we get to plant the seedlings started on our kitchen table. 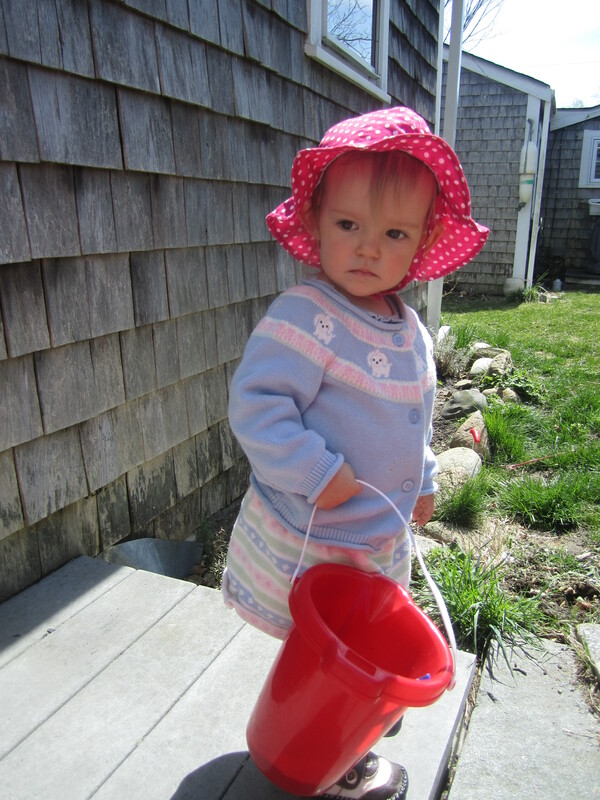 With any luck, we’ll dig up a worm, which will really give her something to think about.